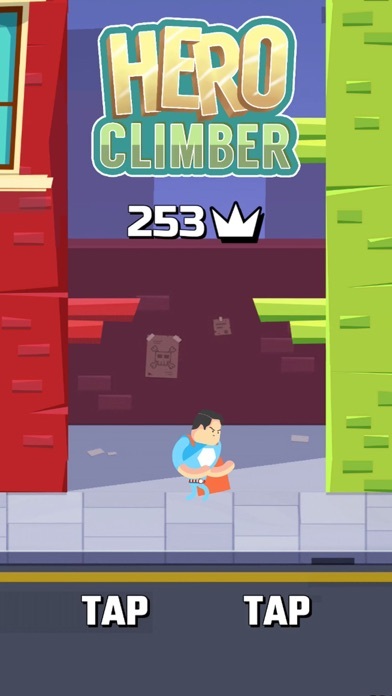 In Hero Climber, your task is to climb as high and as fast as possible. 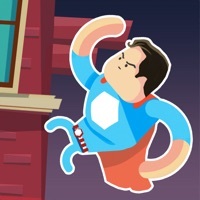 If you climb to slow, your strength will deplete and you will fall. 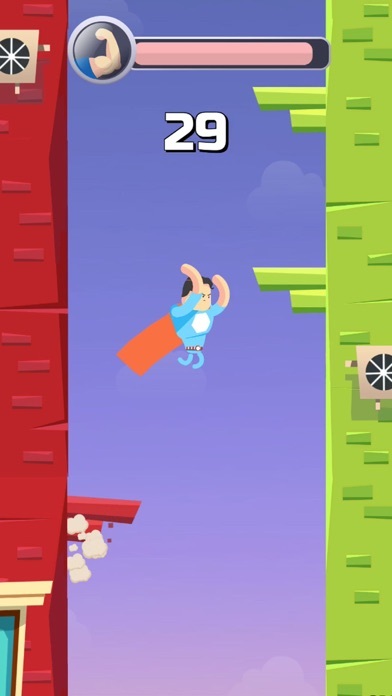 Features: - Tap left or right part of the screen to jump - Always jump in the direction which allows you to land on a ledge - If you jump in the wrong direction, you fail - Tap as fast as possible or soon your strength will deplete and your hero lands flat on concrete ;( - Get the best score! 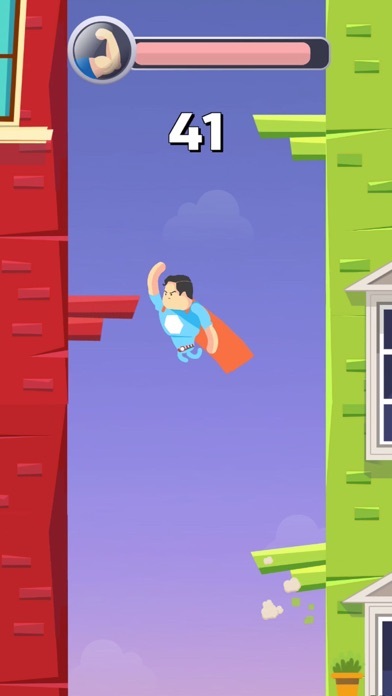 Not every hero can fly. 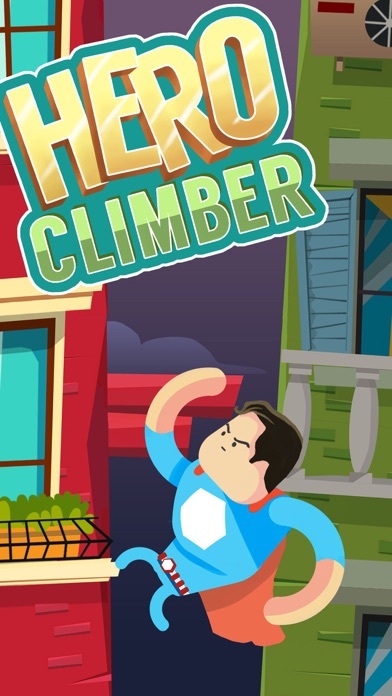 Some heroes need to climb!